Tony Abbott has taken up Prime Minister Scott Morrison’s offer as special envoy on indigenous affairs. TONY Abbott has been criticised by senior figures as one of the masterminds behind last week's leadership chaos, openly criticising decisions made by Malcolm Turnbull. But now the former PM has had another dig at his long-time rival. 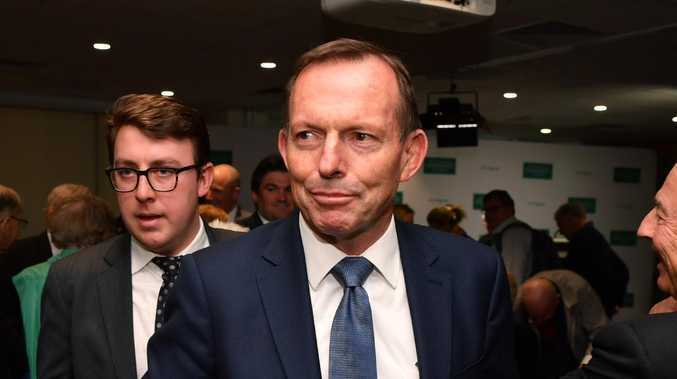 Speaking on Tuesday night in Perth, Mr Abbott took a subtle swipe at Mr Turnbull's decision to quit parliament, triggering a by-election in his seat of Wentworth. "I always suspected that the instant he didn't have the top job he'd want to go," he told radio station 6PR. "He certainly wouldn't be the first prime minister to do that. Paul Keating didn't hang around, Bob Hawke didn't hang around." Last week when asked if he would stay on as Wentworth MP, Mr Turnbull had this biting response aimed directly at Mr Abbott. "No I made it very clear that I believe former prime ministers are best out of the Parliament and I don't think there's much evidence to suggest that that conclusion isn't correct," he said. Mr Turnbull is expected to officially stand down from parliament this week and trigger a by-election in his safe Liberal seat. 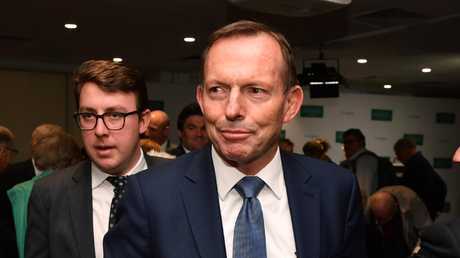 Mr Abbott, who was attending a Liberal Party fundraiser last night, said he never expected there would have been a spill last week and a change of leadership within the party. "The last thing I expected when I sat down in the party room on Tuesday morning was for the prime minister to suddenly declare a spill," he said. Former Prime Minister Tony Abbott leaves after a speech on the state of the Australian political landscape on Saturday. He has also taken up a new role as special envoy on indigenous affairs. "Yes, I'd been a critic of the so-called national energy guarantee because I want power prices going up not down (sic) and that means less renewable power and lower emissions targets." He asked for questions about the reasons for last week's leadership change to be directed to Mr Turnbull, but he did make the point: "None of us really wanted to change the leader but all of a sudden he spilled his own position and that set in train a whole series of events and, presto, we've got a new prime minister." Mr Abbott's comments came after he was exposed by senior figures as one of the reasons behind last week's leadership chaos that engulfed the party. Rather than trying to save his government, Mr Abbott was accused of sniping from the back room to bring Mr Turnbull down. Mr Abbott will remain in politics. He has "enthusiastically" accepted the new Prime Minister Scott Morrison's job offer as a special envoy on indigenous affairs. His priority will be to lift school attendance rates and improve academic performance. Mr Abbott told the Daily Telegraph that he would encourage the federal government to consider tougher penalties for indigenous parents who did not send their children to school, along with ways to attract talented teachers to remote Aboriginal communities. "I have a fair dinkum job, to be the member for Warringah. I suspect I can manage other things, but let's see what it involves,'' Mr Abbott told Sydney radio 2GB on Monday. Mr Morrison, who left Mr Abbott out of new-look cabinet on Sunday, said he and the former PM are in talks about the role he can play. "I want to use his experience," Mr Morrison said on Monday. 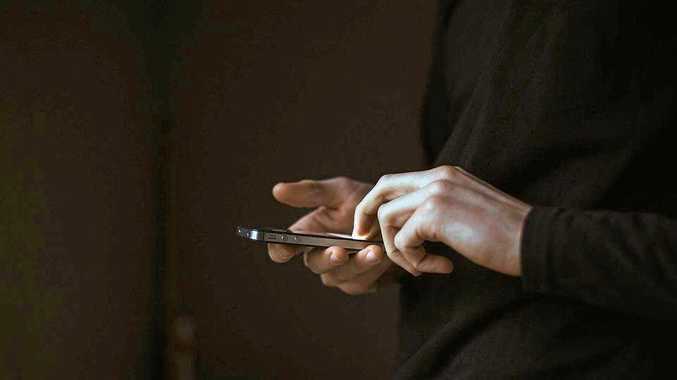 "I want to use his insights in an area I know he is deeply passionate about." But not everyone is happy about Mr Abbott's new role. That same day, opposition indigenous affairs spokesman Patrick Dodson said it would be "condescending" to indigenous people if Mr Abbott took the role, particularly as he had not lent his support to an indigenous voice in parliament.